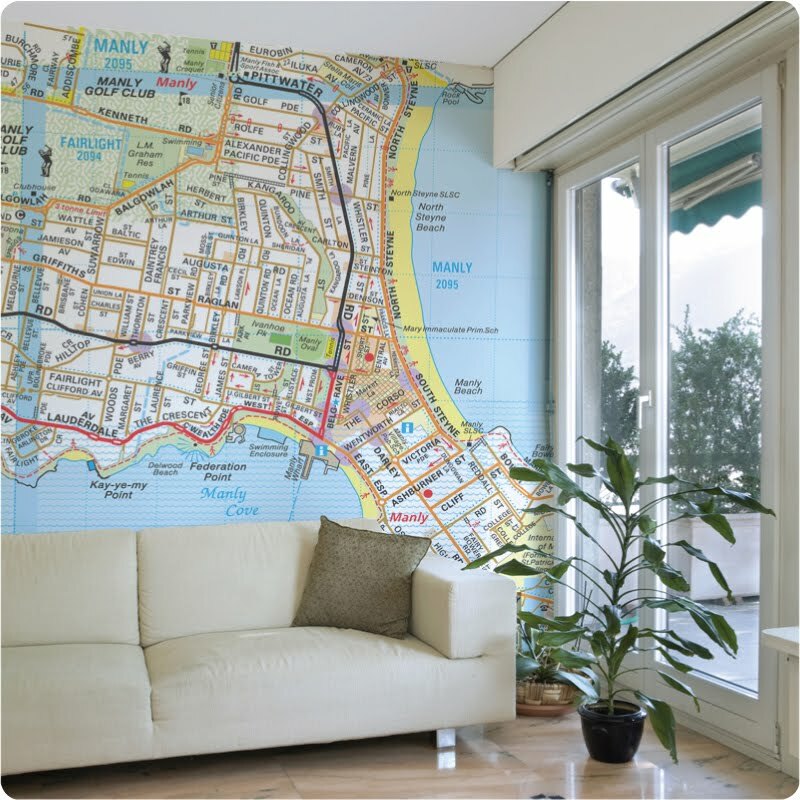 The Wall Sticker Company is an Australian company, but they do ship overseas. They also have some of the biggest and most interesting world map wall decals I've seen. The biggest is their world map decal. It's the biggest world map wall mural that I've found and it can definitely fill the whole wall. So much so that you can order half a map if it's too big. The other is taken straight from the Melbourne Street Directory. 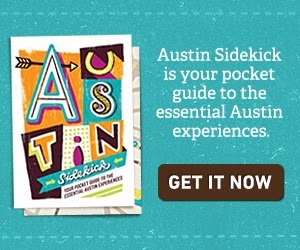 Meaning you literally pick a page and they'll blow it up to wall mural size. It's neat if you live in Melbourne because you could get your own street put on your wall. 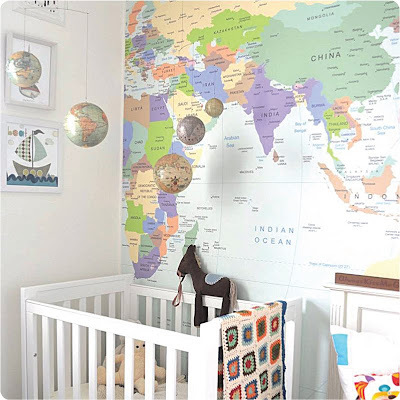 But it's almost more interesting if you live overseas because then it just becomes an interesting city map mural for your travel-themed nursery. If you don't want to wait (or pay) for overseas shipping there are plenty of world map wall decals to choose from, but if you wanted a city map feel for your travel-themed nursery, this is the only wall decal I've seen that fits the bill.